Now that August is coming to an end, September will be here soon and you know what that means – the beginning of Pumpkin everything!! This year, I have seen a good amount of pumpkin flavored items out on the store shelves already, which is a very exciting thing for me. I’m absolutely obsessed with anything pumpkin, especially baked goods. We have done a lot of pumpkin recipes throughout the years on the blog, so today I wanted to compile my favorite ones. Here’s a list of my all-time favorite pumpkin recipes! Pumpkin Roll – Honestly, a pumpkin roll has been on the top of my list for years now. I fell in love when a local bakery started to sell slices of their pumpkin roll during the Thanksgiving month– delish! I was in search of finding a recipe to duplicate this in order to have access to this dessert year round and it sure is a hit. The combination of pumpkin, spices, coconut oil and cream cheese is one that will have you wanting more than just ONE slice. Try adding caramel and chopped pecans to the top before serving. Salted Caramel Pumpkin Cookies – Caramel and pumpkin mixed together into a cookie – need I say more?! 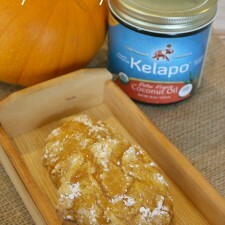 Using coconut oil in any cookie recipe is a must for me and the flavor combinations really make this cookie stand out. If you don’t want to use salt for the topping, feel free to substitute this for cinnamon or pumpkin pie spice. White Chocolate Pumpkin Mousse – I grew up making chocolate mousse with my mom around the Holidays and always enjoyed the process. Getting creative, I thought it would be a great idea to mix pumpkin and white chocolate together to make a mousse and oh boy, it came out amazing! 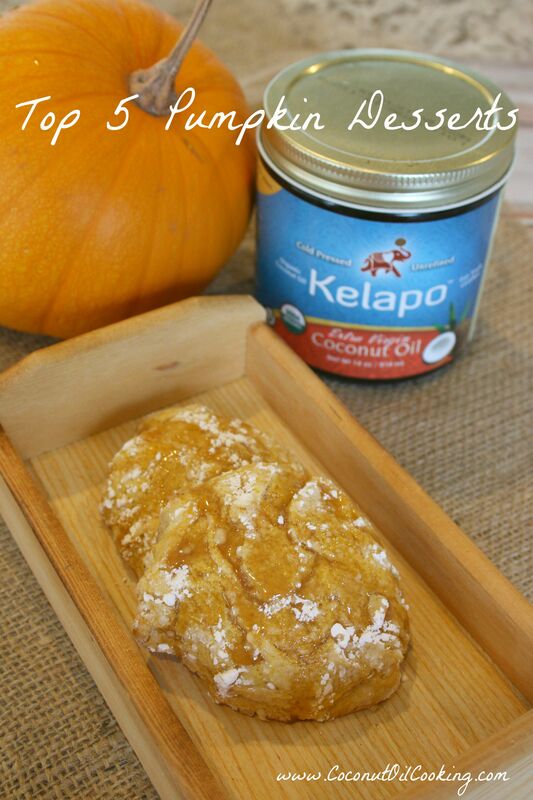 Try this recipe for Thanksgiving or fall entertaining. I promise that your guests won’t be disappointed. Paleo Pumpkin Pie Bites – I love that even if you’re on a Paleo diet, you can still enjoy the taste of pumpkin pie. These bite size gems taste like a mini pumpkin pies and are highly addicting. Feel free to make a large batch and freeze them for later or even as a breakfast treat. Gluten-Free Pumpkin Chocolate Chip Pancakes – Using coconut oil in any pancake recipe really fluffs them up and adding pumpkin puree helps even more! These pancakes are great for little ones and adults as well because you can never have enough chocolate. Top with maple syrup, coconut oil or almond butter – yum yum yum! Hopefully you’ll get some ideas for your next baking session, especially as we come closer to fall! Do you have a favorite pumpkin recipe? Feel free to share!